Cosworth has been at the forefront of innovation in vehicle electronics for over thirty years. From our early days, running under the name Pi Research, we have sought to use data to understand and improve vehicle and driver performance on the racetrack and on the road. Founded as an offshoot from a University of Cambridge project looking at logging control systems for wind tunnels, Cosworth has played a pioneering role in motorsport electronics. Our ‘black box’ was one of the first electronics dash display and combined data loggers in motorsport. The ground-breaking technology allowed teams to evaluate changes to their cars to deliver a competitive advantage, something with which the Cosworth name has become synonymous. Motorsport has allowed us to develop industry-leading electronics solutions that are today helping to shape road cars of the future. Our patented AliveDrive Toolbox for automotive customers is one such example, having been developed from the same suite of analysis software that delivered success in racing over two decades. AliveDrive Toolbox displays key driver inputs alongside vehicle dynamics and track mapping all synchronised with high definition video from the PDR camera. 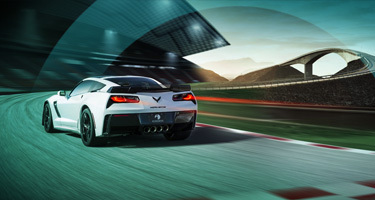 It allows drivers to review laps and focus on performance improvement areas like braking points, accelerating points, driving lines and corner speeds.